Disclaimer: Finance and Lease offers on approved credit. Regional offers, lease and finance conditions apply. MSRP is subjected to additional fees such as: Freight $1,295, PDI $1,145, Admin Fee $388, A/C Tax $100, Tire Steward's Tax $14.00. See your local BMW dealer for more information. Use of any calculation and/or tools on bmwautohaus.ca does not constitute an offer of direct financing or any particular lease, finance, purchase option or transaction. Calculation and tools are intended for illustrative purposes only. Rates and requirements may vary depending on credit worthiness. 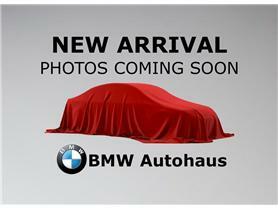 Every effort is made to ensure the accuracy of the content on the pages on bmwautohaus.ca. In the event of a discrepancy, error or omission, vehicle prices, offers and features as established by BMW Canada and participating BMW dealers in Canada, will prevail. 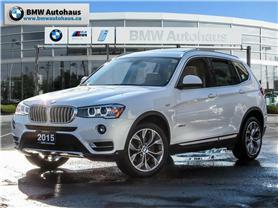 Conveniently located at 480 Steeles Ave West in Thornhill, BMW Autohaus offers expert maintenance and repair services, get original parts and accessories for your car or SUV and make use of our professional and award winning lease and financing sales consultants. We invite you to drop in to see up close our selection of new BMW’s and our large inventory of BMW Certified Pre Owned vehicles. The opening of BMW Richmond Hill Service has reduced wait times and gets your BMW serviced sooner. Located at 371 Ohio Rd, BMW Richmond Hill Service offers the latest equipment to maintain your vehicle.